How to Play Fantasy Football on DraftKings UK? There is nothing in this world that gives the people of Britain more pleasure that being involved in the beautiful game of football. As much as they would love to get onto the pitch and the kick the ball with their favourite players from the Barclays Premier League such as Wayne Rooney, Harry Kane or Jamie Vardy (lots of Jamie Vardy followers nowadays), playing football in the big leagues is a dream that comes true for only a limited number of people who aspire to be footballers. If you cannot be on the field, sporting the colours of your club or country, you always have the option of buying a ticket to one of the wonderful stadiums in the UK and enjoying the thrilling action of the league football on an exciting weekend with your friends or family. Even that activity requires you to squeeze a little time off of your extra schedule and save up a little money to afford the ever increasing prices of a seat at the Etihad Stadium, the Old Trafford, Stamford Bridge or the Emirates Stadium. In other words, rooting your favourite team from the stands is not a weekly option for many football maniacs in the United Kingdom. The need for greater and more frequent involvement with UK’s finest invention, the game of football, is what drives people to the numerous fantasy football sites that have developed in Britain and abroad. For most people, fantasy football is a fun and light hearted way of staying connected with the game even when there are no matches to watch on television. That being said, the world of fantasy football has a very strong attached with the world of real football taking place in the real world. Based on the results and outcome of individual matches taking place in the real world, you will be able to score points and move up the ranks in fantasy football. The system sounds a little complicated at first. However, once you come to grips with how fantasy football is played, then you will have no problem in understanding why millions of people in the United Kingdom are obsessed about constructing their own imaginary team and updating it religiously to suit the needs and demands of the game. Anyone who is even remotely familiar with the world of fantasy sports must have heard of DraftKings before. It is one of the most popular global franchises, if not the most, of fantasy sports and it is the kind of establishment that is almost always on the news for a variety of reasons. 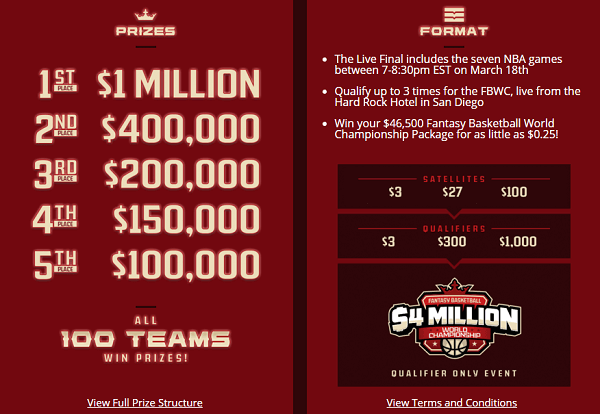 DraftKings can be best described as a fantasy sports contest provided. It originated in Boston, MA. Using the DraftKings website, you can take part in weekly fantasy sports related contests where you will find hundreds and thousands of other competitors just like you, vying for the top prizes in the world of fantasy sports. 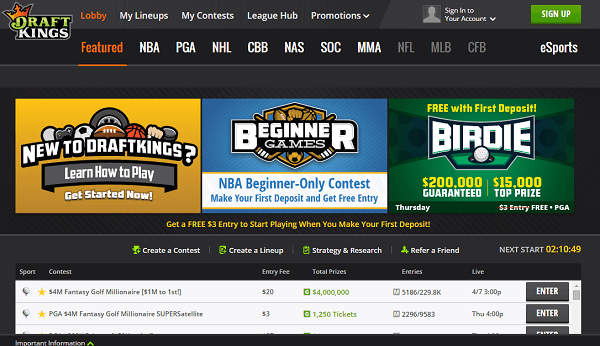 DraftKings covers the five major sports in the United States of America. This includes the MLB, the NHL, the NFL, the NBA and the PGA. In addition to these popular American sports, DraftKings is a place that has attracted the attention of numerous football lovers, especially those from the United Kingdom. This is because they provide weekly football fantasy contests that are based on the results of matches in the Barclays Premier League and the UEFA Champions League. Right about now, you are probably wondering why any person in the United Kingdom would ignore the countless domestic fantasy football sites to try their hand at DraftKings’ version of fantasy football. The simple answer to that is popularity. Even though DraftKings predominantly caters to the American sports lovers, it has attained massive global popularity in recent times. Much of that can be attributed to its extraordinary advertising scheme and state of the art fantasy sports system that hooks in a lot of players from different parts of the world, including the United Kingdom. If a British fantasy football lover was to choose any international establishment, it would be DraftKings nearly nine times out of ten. Think of it in this way. Fantasy football is huge in the United Kingdom. DraftKings is enormous in the United States. When the two are combined, they are bound to explode into a mushroom cloud of excitement, opportunities and perks for the average fantasy football player in the United Kingdom. Fantasy football DrafKings is actually quite simple. The only thing that will bother you about playing fantasy football here is that they identify the sport as soccer and not football (you now have our permission to be agitated at the Americans). Keeping the soccer Vs football debate aside, the rules and regulations of fantasy football are quite convenient for the British fantasy football players who are used to a different system of play. The contest has a salary cap format. This means that every contest you participate in will afford you a salary cap of $50,000. This money can be used to draft an 11 player roster (players from 3 different teams) or squad. Each team must have one goalkeeper, three defenders, three midfielders and two strikers in addition with two utility players (cannot be goalkeepers). The Player Pool will consist of all the players that are supposed to be involved in the action on a match day. The player salaries remain unchanged once DraftKings has offered up contests for that particular match day. There are positive and negative points assigned for good or bad performances. For example, if a player on your team scores a goal, you are awarded 10 points, while 3 points are deducted for conceding a red card. As far as the trader player policy is concerned, fantasy football participants can only trade their players after the contests have been posted. The roster can be changed up until one minute before the start of the first game that is included in the contest. Once you wrap your mind around these simple rules, you will be more than ready to hop the bandwagon and start playing fantasy football DraftKings style.